The prospect of rolling out a new operating system at work always feels a bit daunting, not least because of the notorious issues with previous versions of Microsoft Windows upgrades like Vista. It is therefore important to always be as informed as possible about what the implementation of a new system will involve, and how you can expect life in the workplace to change once it is up and running. Bear in mind that installing a new operating system that just barely meets the device’s requirements in likely to slow down productivity. Firstly, it’s worth noting that apart from the new-tech hype, Windows 8 promises to contain all those other elements you would normally expect from a system upgrade: greater speed, greater stability, and increased security. The actual changeover itself also looks like it will be a fairly undemanding process. Windows 8 Installer comprises a number of tools that aim to do as much of the work for you as possible: a hardware scanner that assesses whether your computer meets the minimum specifications for running Windows 8 and also offers configuration guidance; a software scanner that checks and offers advice on the compatibility of all pre-installed software; and a tool that specifically assesses line-of-business applications. Be forewarned that with any change in operating system there will inevitably be a short-term dip in workplace productivity, as users adjust to unfamiliar territory. When considering a system upgrade, also make sure that you assess the potential long-term effects and prepare your users accordingly. Think about the ways you can expect Windows 8 to permanently alter the working lifestyle of the people in your company. In terms of actual operation, the key feature of Windows 8 is its new start screen with customisable tiles that offer easy access to the applications you use most. These tiles are continuously updated, so relevant social media and email updates are immediately visible and easily monitored. For forward-thinking businesses that have embraced the increasing usage of social media, this aspect will definitely be convenient, particularly in marketing departments. 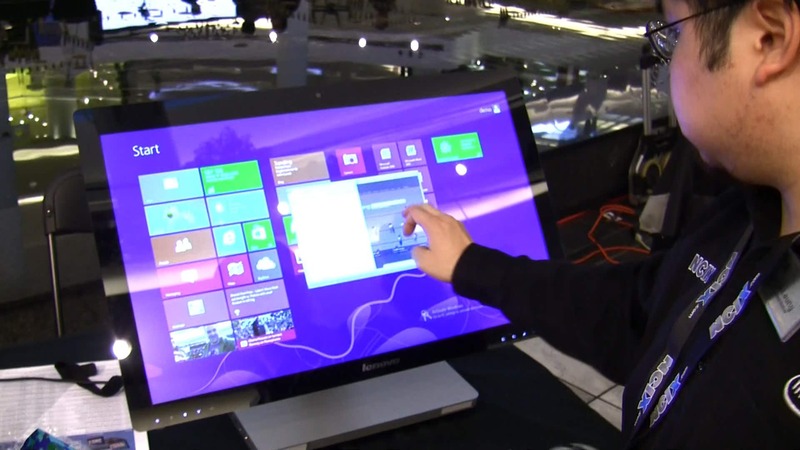 Is Windows 8 the OS to Rule Them All? Although recent studies suggest that one day all our computing will be dealt with through just one device, perhaps tablet PCs, until that day comes, Windows 8 Microsoft provides an operating system which can be used on your tablet, laptop, smartphone, and PC simultaneously. Significantly, Windows 8 is a unifying OS that promises to overcome the traditional separation between Home and Business editions of software - it was designed with multipurpose use in mind. Windows 8 may also fundamentally change the way businesses process and store information by its full integration of cloud computing services with the new OS. Windows 8 intends to make cloud computing an intrinsic component of the operating system itself by enabling cloud computing automatically on each device it is installed. Windows 8 will also be distinctive in its methods of storage capacity, as unlike Google Chromebook, it will automatically maintain storage on the cloud as well as on the device itself. This will be useful for businesses who want to safeguard information in more than one place. This advancement has the potential to advance cloud management methods in business settings. The largest long-term benefit for businesses is that employees may utilize the upgrades in Windows 8, leading to higher levels of productivity overall. It is even possible that greater familiarity with the system will mean fewer user complaints to company IT ‘help desks’. In fact, as employees increasingly continue to use their own computing devices for work purposes, companies may not need to channel large resources into IT as a whole, at all.